​Fudge is one of the few foods I make that someone else couldn't make equally well just by following directions. 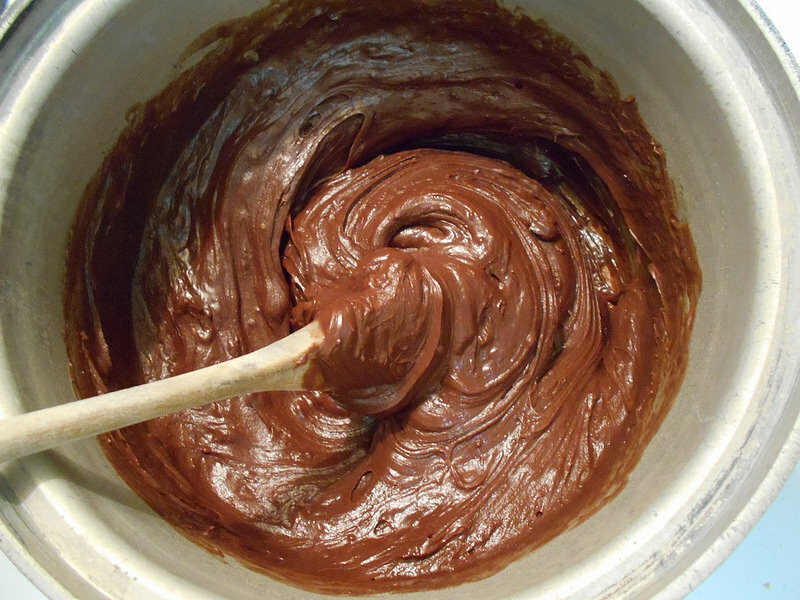 You see, the fudge I make has to be stirred very carefully and poured out of the pan at just the right moment. "Just the right moment" means this -- If you pour it out too soon the fudge won't set; it will simply spread out across the counter like thin mud. If you stir it too long, it will suddenly set in the pan, with the texture of dirt clods in August. "Just the right moment" means that the chocolate will pour out of the pan as a graceful river of smooth, creamy, warm-but-firm fudge. It will have fine ridges, swirls and curling waves, like river rapids touched by a chocolate Midas. How do I know when just the right moment comes? I feel how hard it is to stir, look at how long it holds a curl and see how much of the gloss has faded. These things cannot be written into the recipe. I cannot tell anyone else how to know, and sometimes I still get it "not quite right." But I can do it because my mother and sisters let me watch them for years, and then help them for a few years, and because my mother let me try and fail for a couple years after that, either pouring it down the drain or chiseling it out of the pan. Mom never got angry. The absolute truth is that I can make fudge like a river of chocolate heaven because my family loved me enough to teach me, because I love fudge enough to fail many times, and because I love my family and friends enough to make it for them. 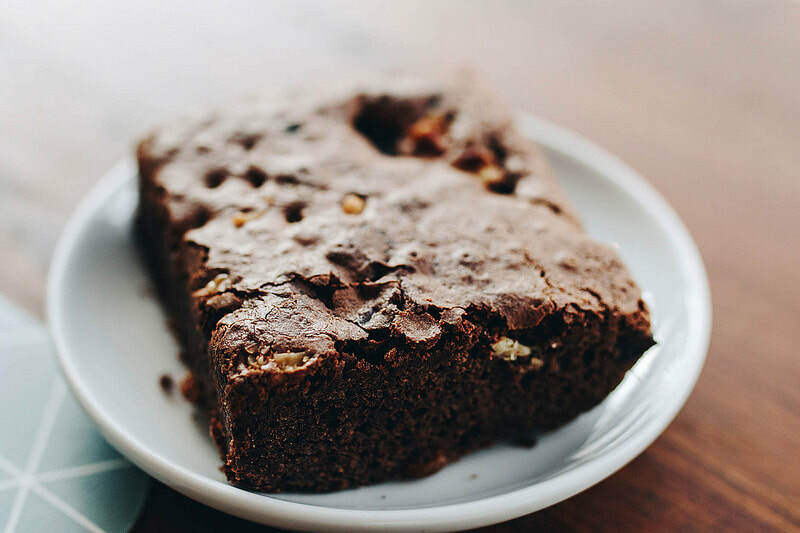 My fudge, like my mother's before me, has love cooked right in. Whitehead rejected a mechanical universe devoid of experience or feeling. He envisioned nature as what Zhihe Wang, a Chinese process thinker, calls “an ocean of feeling.” In the mechanical universe of 17th & 18th century Western science and philosophy, there was no place for feelings or values. They existed only in the supernatural, divinely created human mind. Whitehead envisioned a world in which feelings and values permeated reality. Indeed, the world of Whitehead is a world composed of drops of feeling. Each new drop of feeling arises out of the feelings of all those which have gone before. In the process relational world, feelings have causal efficacy. They make things happen. My mother’s love still has power in my life today. You can taste it in the fudge I make, because it was her love, poured out in years of kindness, example, and patience, which taught me how to make fudge. Love has power in the world—causal power. It makes things happen. It gives a mother a chance to bond with her son, and a son a chance to bond with his mother. In the language of Confucius, it creates a sacrament of filial care, in which two people are enriched by a relationship. In the spirit of Taoism, it creates a kind of patience, a willingness to let bonds flow in a natural way, in keeping with the rhythms of family life. In the spirit of Jazz, it helps people discover a sense of timing, knowing when the “right moment” comes. And in solidarity with the tongue, which is part of what Whitehead calls the withness of the body, it helps create really good fudge. Cool over low heat, stirring constantly, until all is melted. Stop stirring, and cook to soft ball. When ready to stir, add 1 Tablespoon of real vanilla. 234-240 degrees F. = soft ball. I recommend 236 degrees F.
Never trust a candy thermometer, but use one anyway. If you don’t know if it is accurate, stick it in some boiling water and see if it registers 212 degrees F. If it doesn’t, note the error, and add or subtract as necessary. As your thermometer claims that you are closing in on soft ball, put some cold water in a cup. Dip some fudge out of the pan (Do not scrape the spoon on the side of the pan. It may cause the fudge to crystallize.) Drop some into the cold water. If it dissolves, keep cooking. You want to be able to reach in, pick up the drop of fudge, and form it into a soft ball which will hold its shape but will still be soft or firm--not hard. Allow fudge to cool to somewhere around 125-140 degrees. Add one TBS of good vanilla. Stir for several minutes. Actually, beat the fudge vigorously so as to force some air into it and mix the vanilla well. (My sister, Ann, uses a mixer.) It will gradually lose its gloss and become harder to stir. If you are adding nuts, do so about half-way through the stirring process. At “just the right moment”--when the fudge is still workable, but will almost hold a soft point like beaten egg whites--pour the fudge out onto a plate. If you got it just right, the fudge will be setting as you pour it, and won’t flatten out on the plate. Consequently, as you pour you will need to move the pan around to distribute the fudge or else it will end up as one big (delicious) lump. If the fudge pours out across the counter like thin mud, you did not cook it long enough, or you added too much corn syrup, or you did not stir it long enough. It is sometimes possible to stir the fudge a bit more on the plate, but it isn’t very pretty afterward. If it is like a dirt clod in August you over-cooked it and/or stirred too long. Try again. Best while warm. Eaten while warm, it will make your eyes water. But it will , of course, taste good later, too.